Some important inforation. We have moved again! The Red Road flats were recently emptied for demolition. We have now moved to the Community Centre in Kinning Park Complex. Full instructions on how to get to the complex are given here . The Kinning Park Complex is not far from Kinning Park Underground Station, there are also a number of buses that run regularly on Paisley Road and can drop you off close to our location on Cornwall Street. Our drop-in sessions are now every Monday from 12 to 5. The Kinning Park Complex is situated in what used to be an infant’s school in the early 1900s. Nowadays it serves as a community center and offers a wide range of activities, including dance classes, movie screenings, arts classes and others. 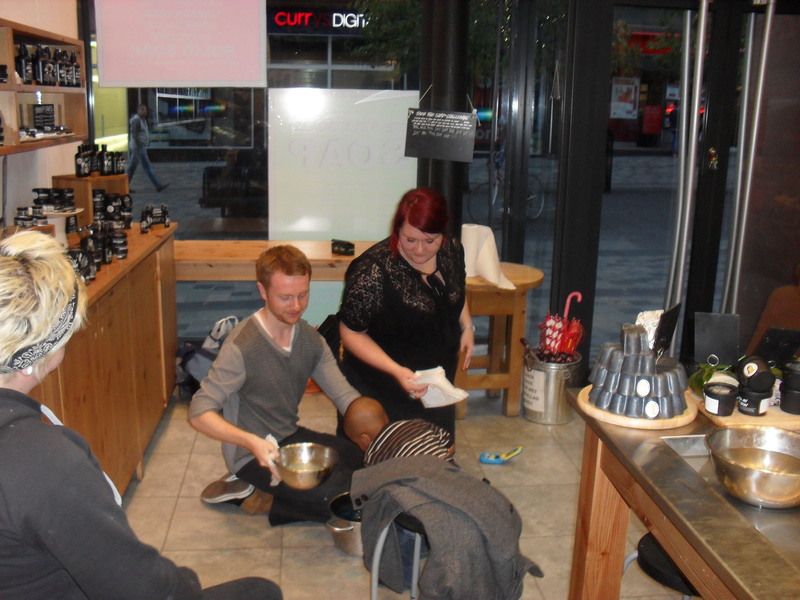 On the 21st of September Lush invited us for a Pamper Night at their shop on Sauchiehall street after close and provided wonderful hand-made cosmetics for all. We had such a great fun and enjoyed all of the planned activities. 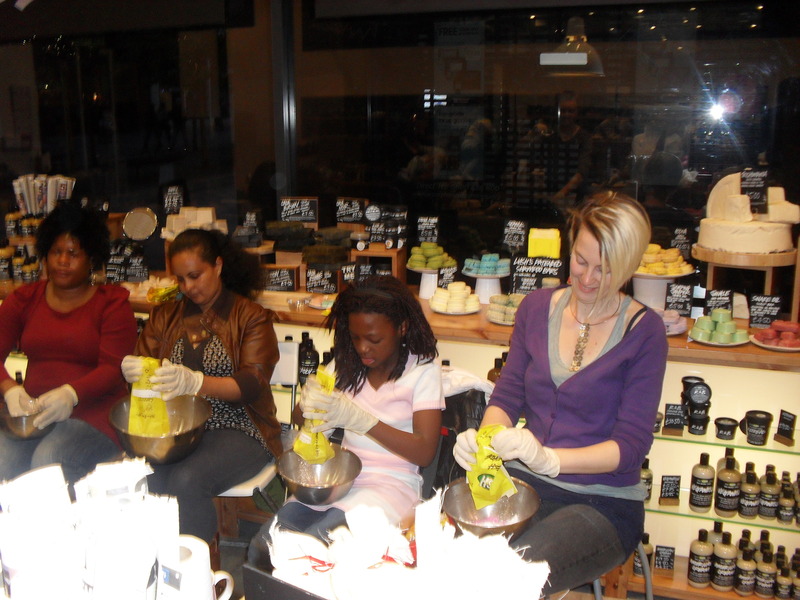 The kids got their hands dirty making bath bombs and the women received a fantastic hand massage. We also got treated with tea and cakes. Many thanks to the wonderful staff of Lush for the great party atmosphere and the presents, and of course for providing generous funding to the Women’s Project! Photos will follow soon from our day trip to Largs, the beautiful seaside resort to the south of Glasgow. On the 4th of November our new volunteers received training in conjunction with other organizations. We had a wonderful Christmas Party (pictures will be posted soon). This entry was posted in asylum seekers, asylum seeking women, Uncategorized. Bookmark the permalink.